Last week’s economic news came from a variety of sources. Most significant was the Fed’s Federal Open Market Committee statement after its meeting ended Wednesday. The statement indicated that the Fed saw moderate economic growth. FOMC did not taper its purchase of MBS and Treasury securities. The FOMC statement announced the committee’s intention to closely monitor economic and financial developments “in the coming months,” which suggested that the FOMC is taking a wait-and-see position on reducing its $85 billion monthly asset purchases. The Fed’s asset purchase program, also known as quantitative easing, was implanted in 2012 with a goal of stabilizing mortgage rates and other long-term interest rates. The National Association of REALTORS® reported that pending home sales fell by 5.60 percent in September. Uncertainty over the FOMC’s decision concerning tapering its asset purchases during its September meeting and concerns over a then potential government shutdown. These were noted as primary reasons for the drop in pending home sales, which are measured by signed real estate contracts. Pending Home Sales are used for estimating future closings and mortgage loan activity. Tuesday’s economic reports included the Case-Shiller Home Price Indices for August. Home prices increased by 12.80 percent year-over-year in August as compared to 12.30 percent year-over-year for August 2012. August’s reading shows a dampened pace of rising home prices. The Conference Board, a research organization, reported that consumer confidence fell from a reading of 80.2 in September to 71.2 in October. A reading of 75.00 was expected, but consumer confidence crashed as the government shutdown and its consequences diminished consumer and investor confidence. According to ADP, a payroll administration firm, private-sector payrolls came in well shy of the expected 150,000 new jobs with a reading of 130,000 jobs. October’s reading was also lower than September’s reading of 145,000 new jobs. Weekly jobless claims brought good news; new jobless claims came in at 340,000 and fell by 10,000 new claims from the previous week’s 350,000 new jobless claims. Expectations had been for 335,000 new jobless claims. Freddie Mac reported that average mortgage rates fell. The rate for a 30-year fixed rate mortgage dropped by three basis points to 4.10 percent, with discount points down from 0.80 percent to 0.70 percent. The average rate for a 15-year mortgage fell by four basis points to 3.20 percent, with an uptick in discount points from 0.60 percent to 0.70 percent. The rate for a 5/1 adjustable rate mortgage dropped by four basis points to 2.96 percent with discount points unchanged at 0.40 percent. 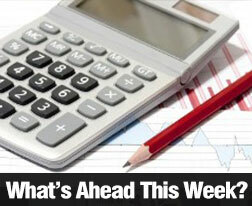 There is no housing or mortgage economic news scheduled this week other than Freddie Mac’s PMMS due on Thursday. Reporting for this week includes Leading Economic Indicators, Weekly Jobless Claims, Non-farm Payrolls and the National Unemployment Rate will be posted. The University of Michigan’s Consumer Sentiment Index will be released Friday. This week’s economic reports are expected provide a general gauge of the economy and information about how consumers are responding to recent economic events and news. This entry was posted in Housing Analysis and tagged Housing Analysis,Housing Market,Mortgage Rates by BJ Kirkpatrick. Bookmark the permalink.